This past week was one of the most extraordinary in UK political history. And it was one which showed, beyond all doubt, that Scotland’s needs are being totally ignored by Westminster. The UK Parliament has not worked in Scotland’s national interest for a very long time, if indeed it ever did. But this was the week in which that was utterly exposed and plain for all to see. The House of Commons was a Benny Hill chase on acid, running through a Salvador Dali painting in a spaceship on its way to infinity. It was a kind of death-defying, window-shattering, epoch-shaping, never-to-be-surpassed lunacy. But amid the mayhem, what did we learn? We learned that the Scottish Tories are happy to actively vote against our national interests – all but one of them refusing to back plans to definitely rule out the No-deal Brexit which would be ruinous for our economy and society. Their actions have shattered the claim by Ruth Davidson, following the election in 2017, that “her” MPs would champion the Scottish national interests. That has been shredded beyond repair and exposed for the bogus boast it always was. 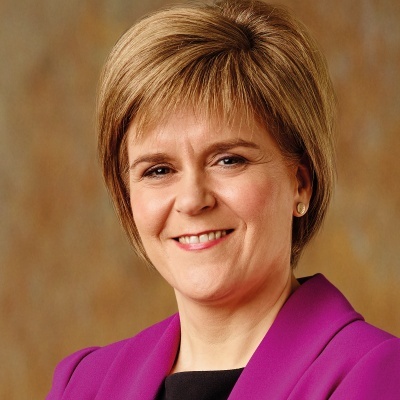 We learned that the Scottish Secretary doesn’t have the guts to resign. The best David Mundell could do was to lamely sit on the fence by abstaining. We learned that Jeremy Corbyn, even at this moment of ultimate crisis, still isn’t capable of fulfilling the role of an opposition leader. He whipped his MPs to vote against the second EU referendum which is now so badly needed – although no one should think that that option has been definitively ruled out. And we also learned that Theresa May is as obstinate and stubborn as ever, even now refusing to acknowledge the scale of her multiple defeats. There was one other thing that we learned this week amid the chaos. And that is the fact that 10 DUP MPs currently have more influence over the future of Scotland than our own national Parliament. That should give every single person in across Scotland a long pause for thought about how we are governed, and how we should be governed. By any conventional standards she should now be long gone as Prime Minister. She barely even leads what has become an unprincipled shambles of an administration which now staggers from day to day, which governs in name only and which itself should long since have departed office. But stagger on they do – and next week will see Mrs May try yet again to get her deal through Parliament. The SNP will, once again, vote against it. But, in these most uncertain of times, no one should assume anything and it remains a possibility that through a combination of arm-twisting, bullying, bribery and brinkmanship the Brexit deal could yet pass. If it does it would take Scotland out of the world’s biggest single market – one which is eight times bigger than the UK alone. It would hit jobs, investment and living standards for all of Scotland’s communities. It would threaten our world-class universities, our booming food and drink sector and our front-line public services. It would cut off a world of opportunity for all our citizens – and particularly our younger people – who would no longer be able to live, study and work freely across the European continent. It would also pose a long-term threat to our economy and society by depriving us of the inward migration we need to flourish in the years to come. And it would do all this against the expressed – and overwhelming – democratic vote of the people of Scotland. Let me be clear – there can be no good Brexit for Scotland. Of course, there was one other thing that we learned this week amid the chaos. And that is the fact that 10 DUP MPs currently have more influence over the future of Scotland than our own national Parliament. That should give every single person in across Scotland a long pause for thought about how we are governed, and how we should be governed. The case for Scotland governing ourselves has never been stronger. And it came as no surprise to me to see an opinion poll last week showing that more people support independence than any kind of Brexit. Scotland can do so much better than this. And the people of Scotland deserve the chance to choose a better future than this.